The use of the semicolon is rare in video game titles, they are often outdone by the colon, the full stop or even the exclamation mark. To be fair, it’s quite difficult to use it correctly, so publishers often opt for an easier punctuation mark to use in their titles. Not Chaos;Child however. The use of the semicolon shows off that both words are equal in their value in the sentence or in this case the title. 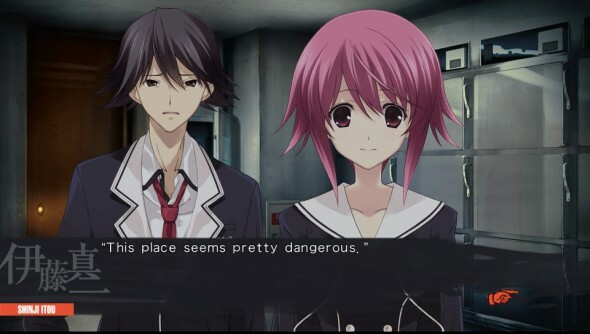 Chaos;Child is the fourth main entry in the ‘Science Adventures’ series. The game was released initially in 2014 for the Xbox One, a year later for the PlayStation 3, PlayStation 4 and PlayStation Vita. The year that followed, 2016, it was released for PC and iOs and Android. So that makes almost all consoles currently available. This was all in Japan however. The localization to the western hemisphere was only a recent move on the developers’ part. If you are a follower of the Science Adventure series you’ll be able to place the events on a time scale. If you aren’t however, worry not, you don’t necessarily need to play the previous games to enjoy the story. The events that set the game in motion happen in 2015, which means it’s six years after the events of Chaos;Head, where an earthquake leveled the area. From there on things start off small, but start spiraling out of control quite quickly. Immediately into the game you watch a scene turn out quite gory. You are a student called Takuru Miyashiro who is a senior in high school and is the chief editor of a school newspaper. So it’s up to you to examine all the details on the weird events that are happening in his city. The problem with Chaos;Child is that it hinges completely on its writing, and it’s just plain. The plot is quite fine and keeps you from zoning out in boredom, but the writing is quite superfluous. At times it’s like reading a children’s book in the way they signal certain events. For a game that was released three years ago, there should be no more errors in the subtitles, but there are, it’s not like the writing is overflowing with them making the game a complete mess, but there are a few to the watchful eye. Chaos;Child is a visual novel, so you won’t find any high definition photo-realistic visuals. The game is almost completely still, with a few exceptions, making it at least less static. The character designs are quite run off the mill and they follow the most basic of Japanese character tropes. There’s the cool be-speckled guy, the strange pink haired girl, the mysterious white haired girl, hiding behind her bangs. If it’s something different you want than the usual fare, then Chaos;Child won’t wow you in the character department. The overall changing of scenery is done quite nicely, and they are varied enough to keep the player entertained. The game has quite some non verbal communication, and there isn’t quite a lot of the spoken dialogue in comparison, which is a shame because the voice actors didn’t pull their punches when it came to doing their part in making the characters come to life. Musically, Chaos;Child has some really cool ditties to keep your ears occupied when you are reading the dialogues and the music zones in between changes moods quite nicely when the text on screen changes tone. It’s not too abrupt, but also not so faded that you’d misunderstand the meaning of the words. 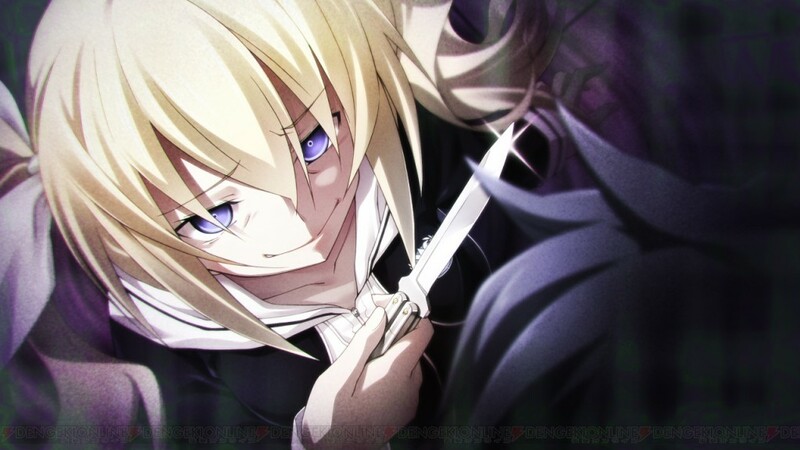 Chaos;Child Is a visual novel and thus there isn’t much difficulty in picking it up and getting through it. The controls are possibly the easiest to master, there’s the confirm button for basically anything in the game and then there’s the joysticks or the d-pad for navigating menus.The game asks of the player to play through it several times to understand the full story and the backstory and motivations of the people in the game. In the first playthrough you’ll play the main story, it’s only when you start up the game again that you’ll be able to make right or wrong choices, which completely change up the narrative and show off some more of the different reactions of different characters. The game is all about murders, and it’s up to you to figure them out. You’ll have to use all the clues and puzzle them together to be able to ascertain the order of events. So you’ll have to act as a detective and talk to people and use your wits to come to your conclusions. In the second playthrough onward you’ll be able to have ‘delusions’ this makes it possible for the player to choose for a ‘positive’ delusion, a ‘negative’ one or stay grounded in reality. This makes different endings possible. This in turn gives the player the power to hunt for the ‘true ending’. 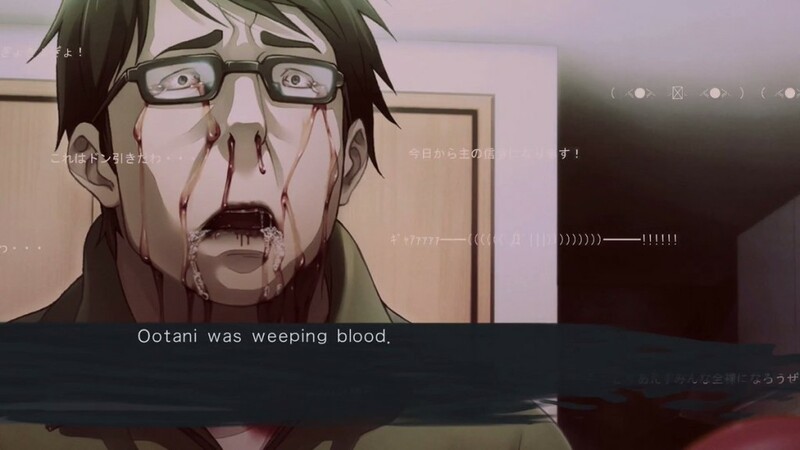 Chaos;Child is a visual novel that continues the Science Adventure series, and is something for people who are into a lot of reading and some puzzling. If you want a book that has an interesting graphical style, then don’t worry about adding this game to you library, but if however you want something fast paced and with lots of action, then you’d best keep looking.